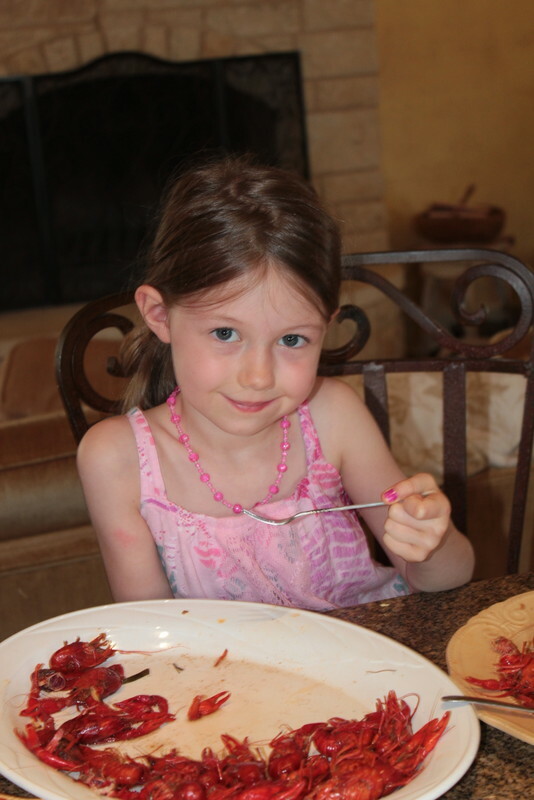 The day turned out to be a fun filled day of science, instruction and yummy food for gumps and Aria. 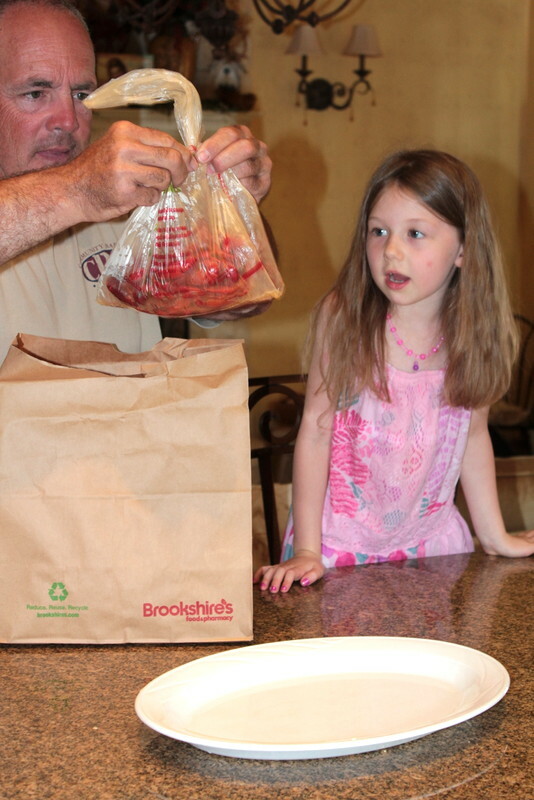 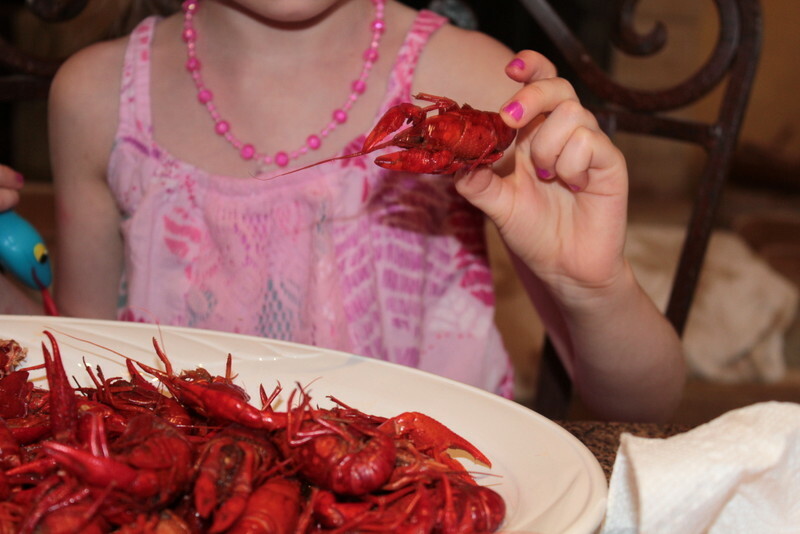 Brookshires in Bridgeport had a crawfish boil, so gumps loaded Aria up and set off for town. 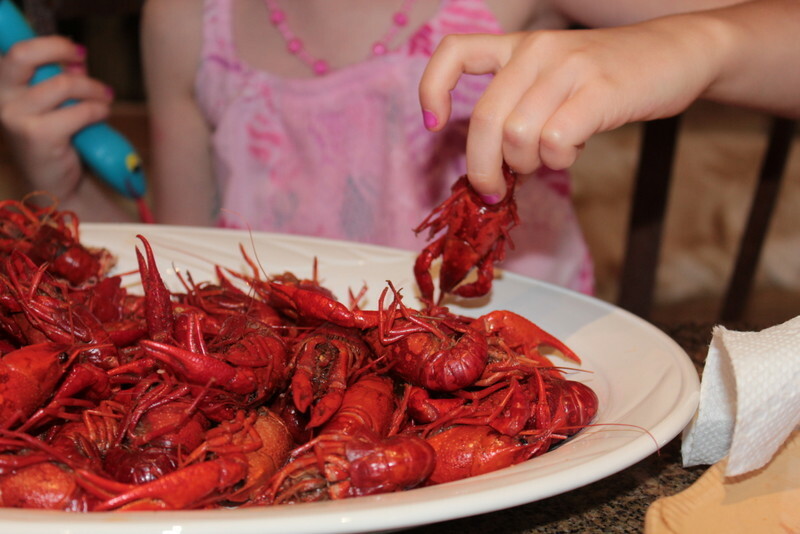 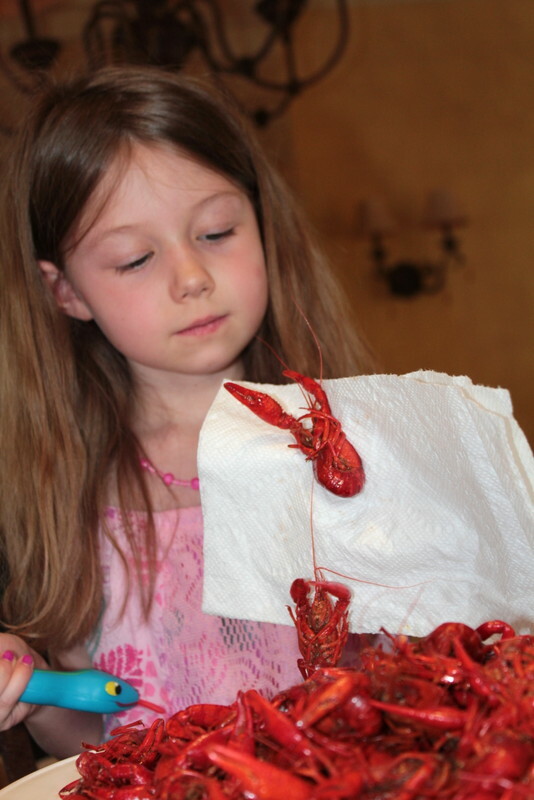 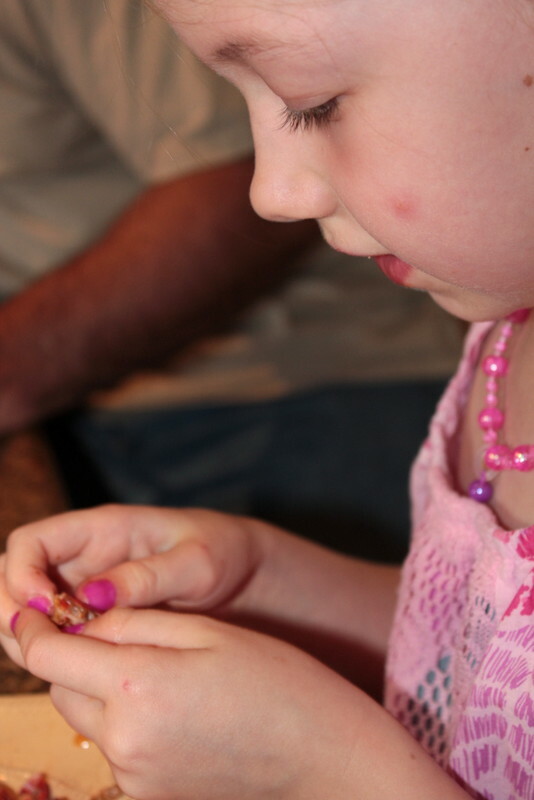 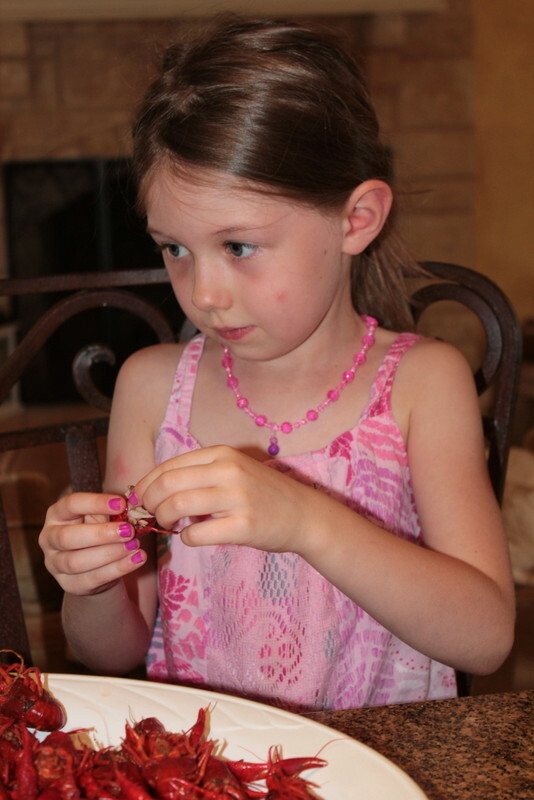 She was able to see and play with the crawfish before they met their doom, and soon, they came home with dinner in hand . 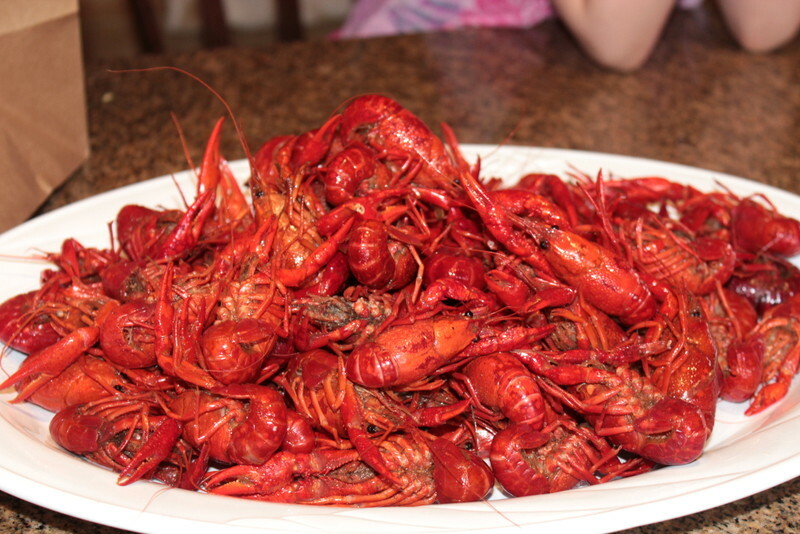 . . yep, two pounds of crawfish! 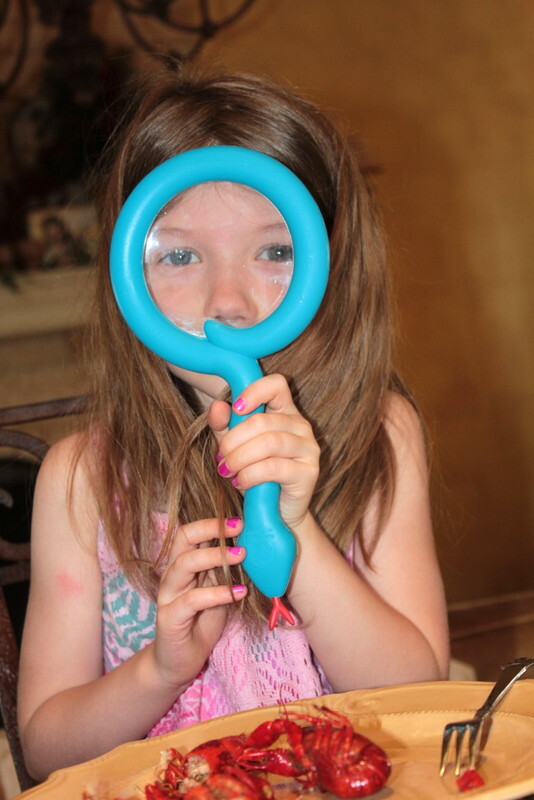 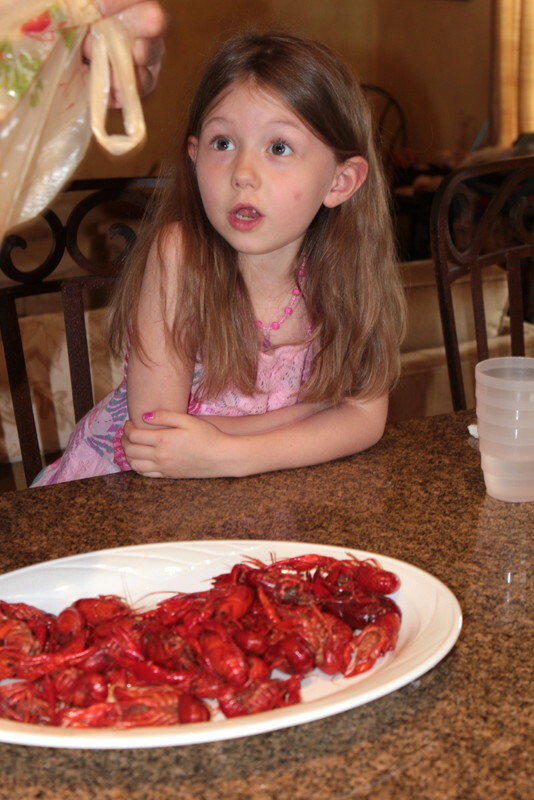 At first, she wasn’t quite sure of these creepy little critters. 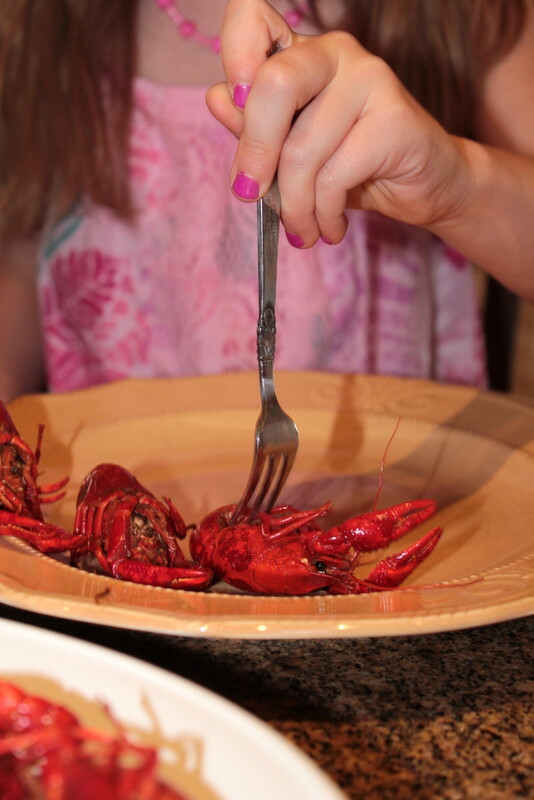 She watched her gumps closely, asking questions, and eyeing every move he made as he ripped them apart and shelled them for just a tiny little bit of meat. 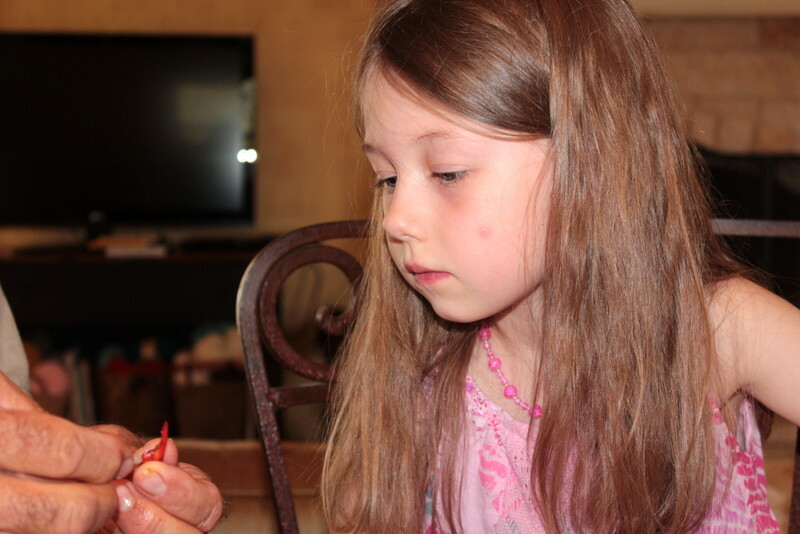 But she was intrigued and her curiosity got the best of her, so she was willing to try. 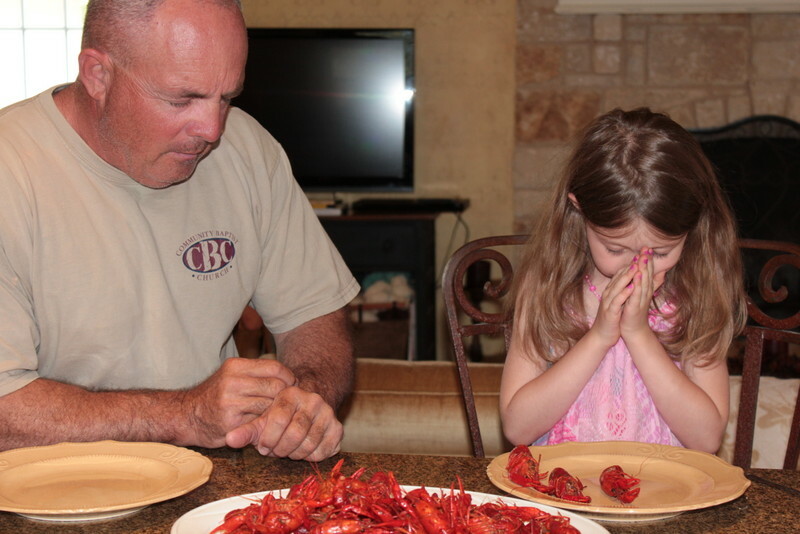 So they blessed their food and the adventure was on. 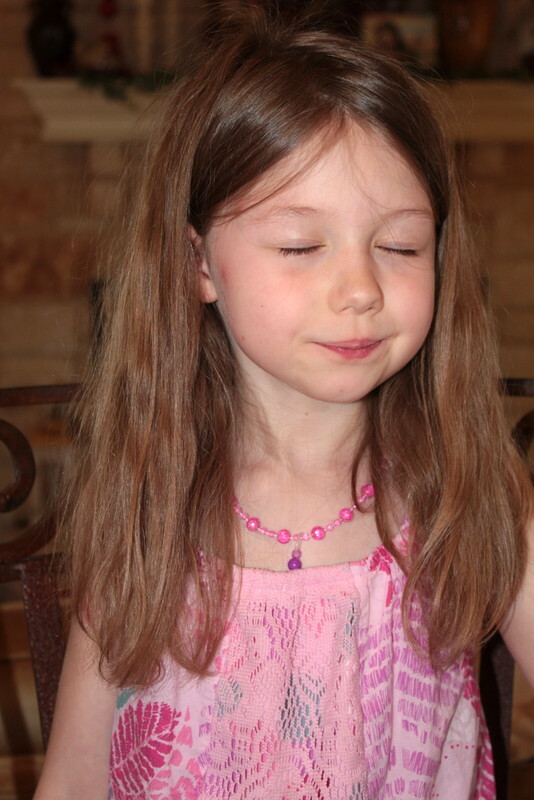 Gumps fed her her first bite, and as she slowly chewed her eyes told us she was mulling it around in her thoughts, deep thinking it through. 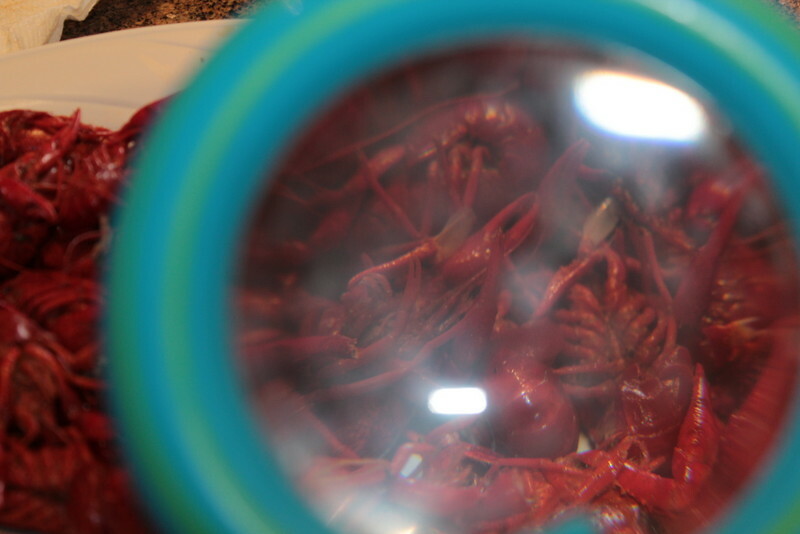 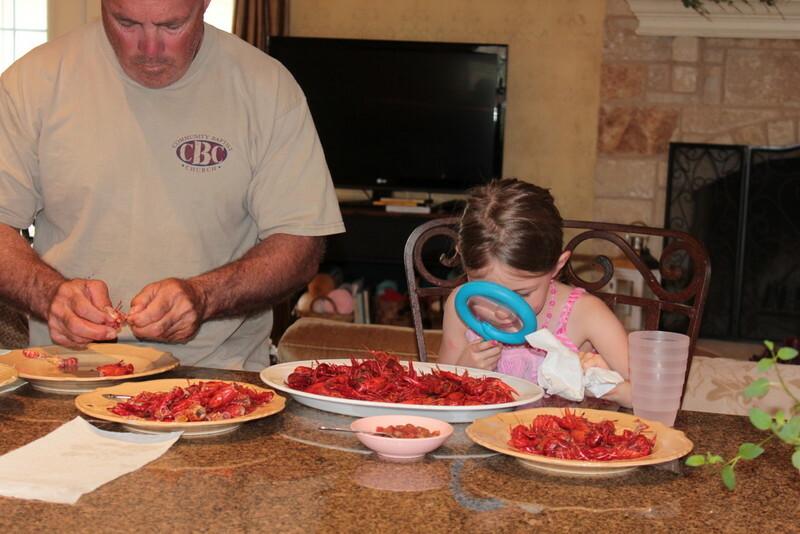 She spent the time that it took for gumps to shell the the crawfish to examine them a little closer. 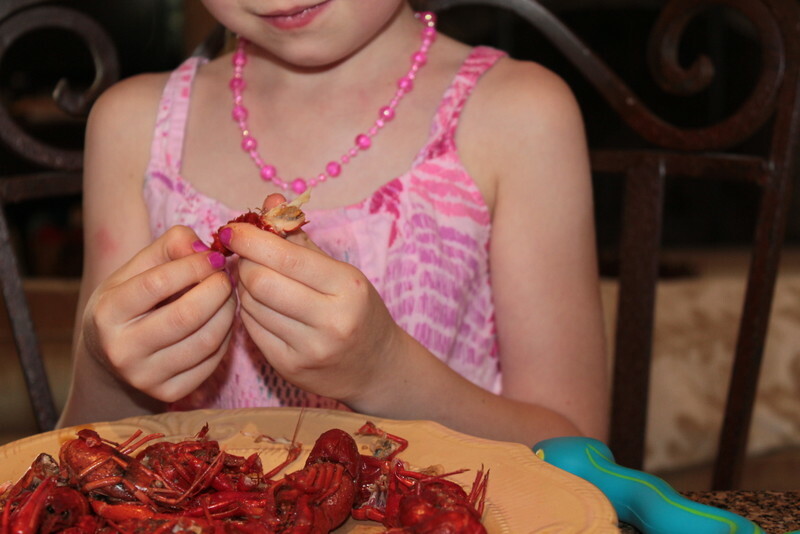 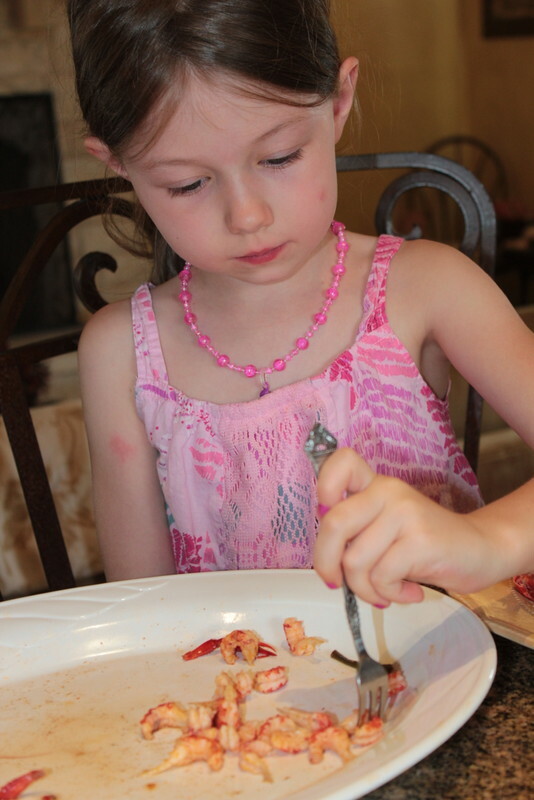 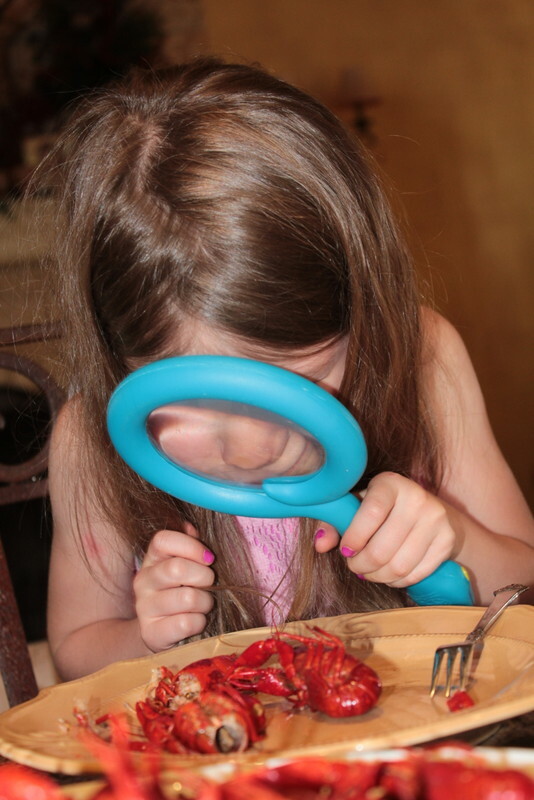 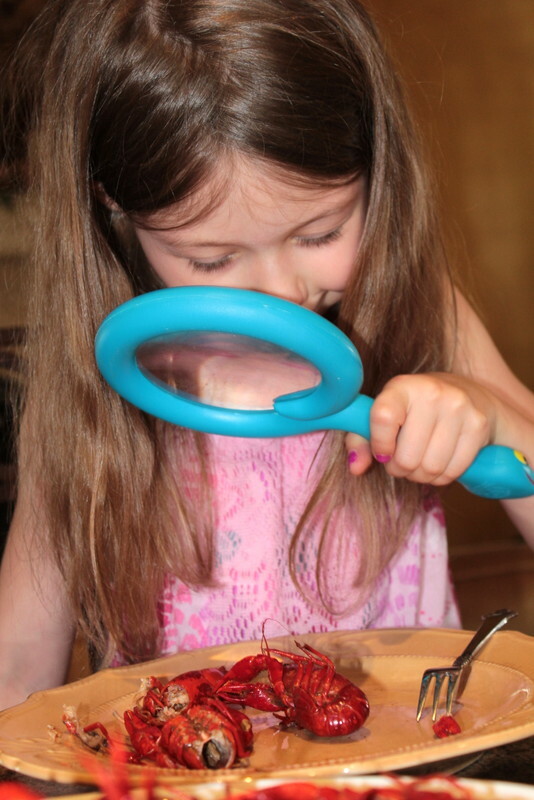 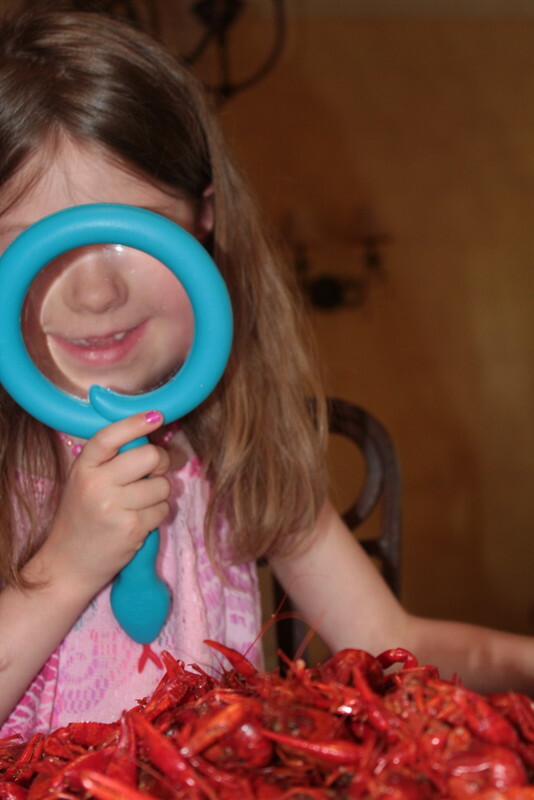 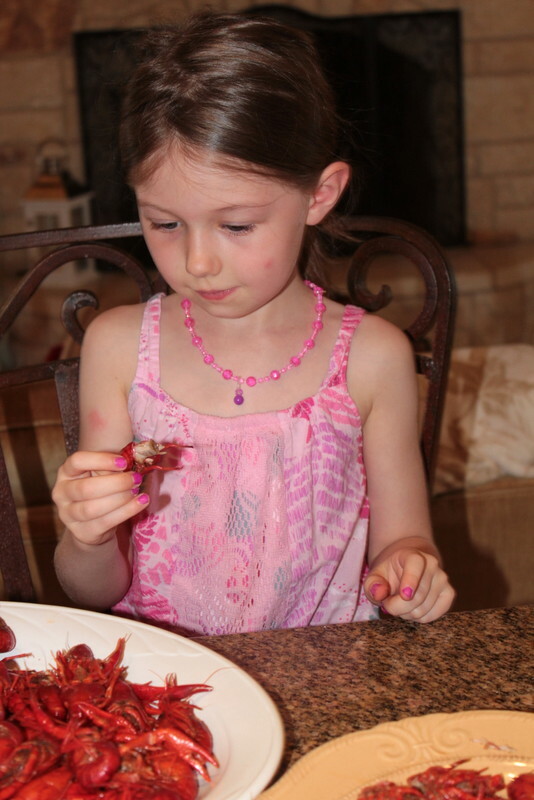 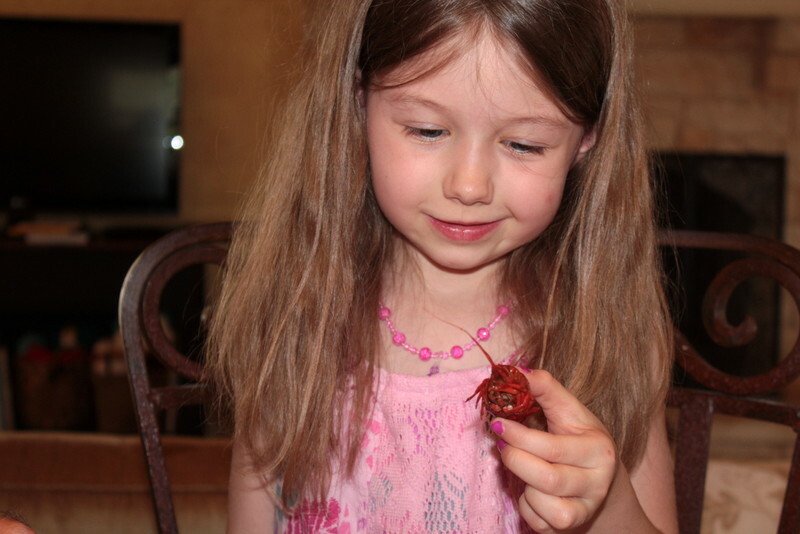 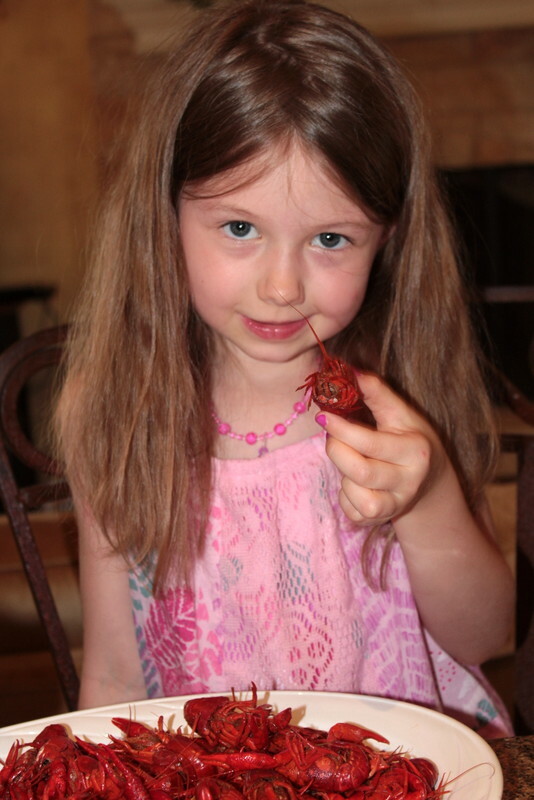 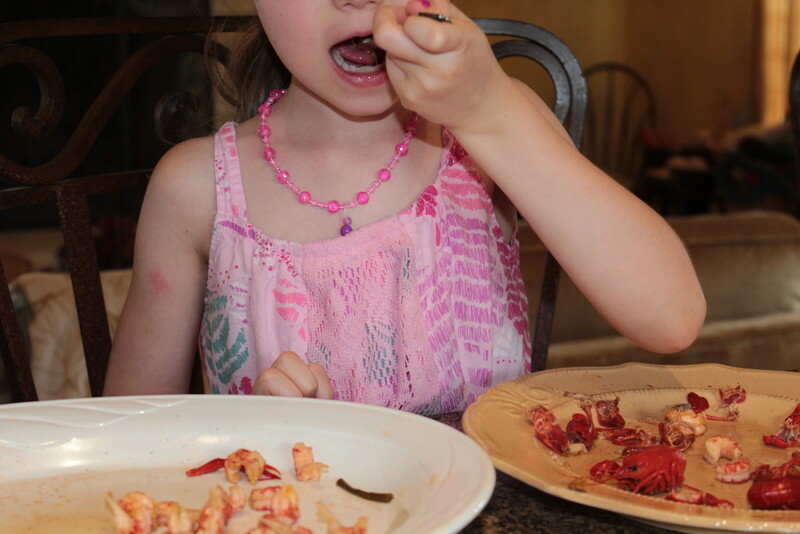 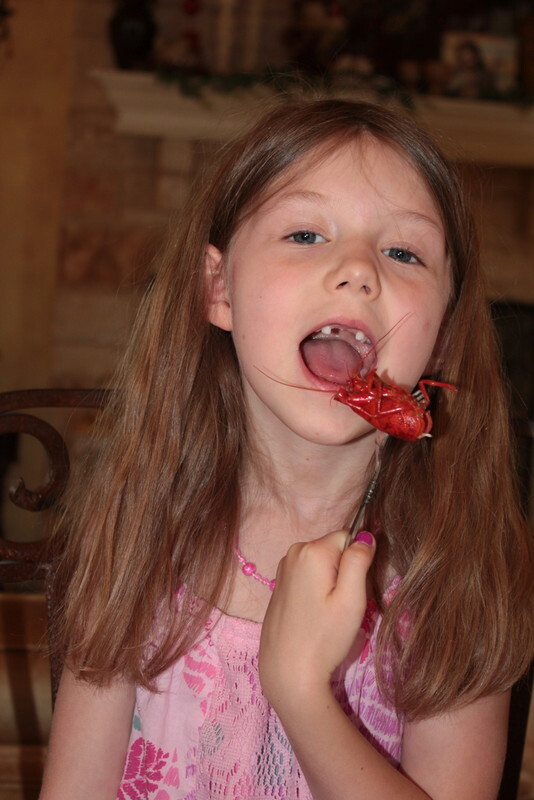 She inspected every inch of just about every crawfish on the plate, with much delight. 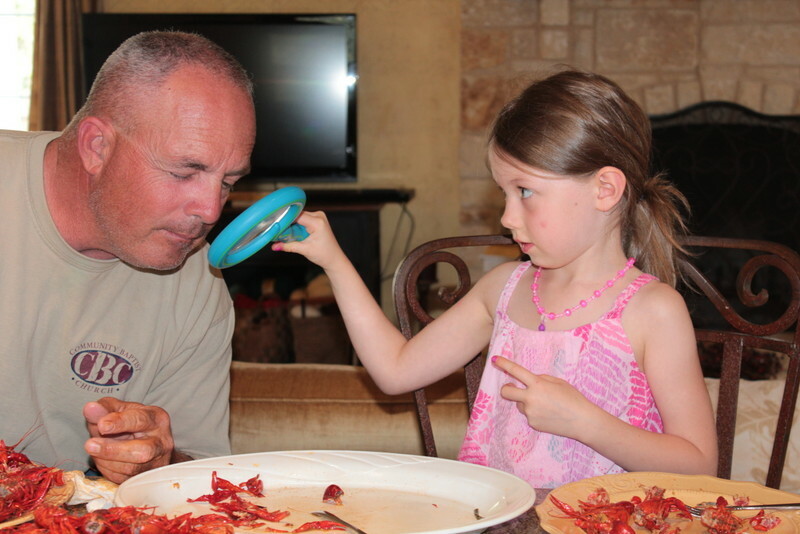 She asked him question after question about them and shared her findings with him. 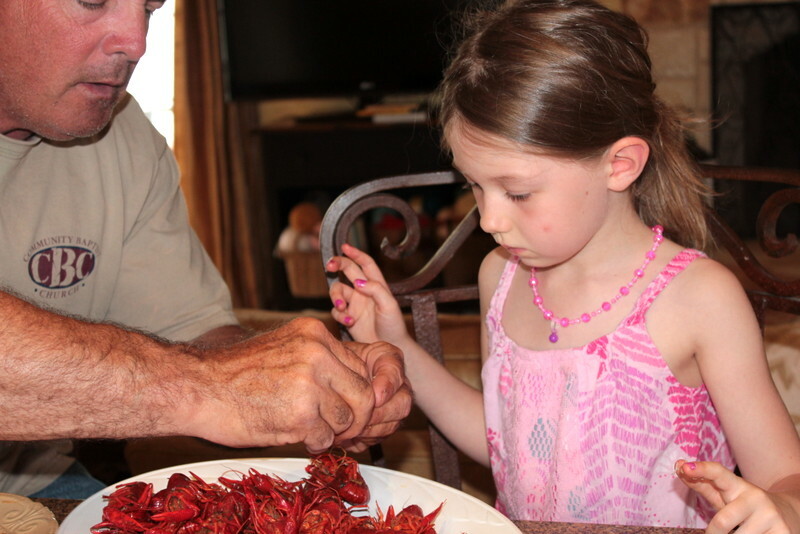 The conversation went on and on until gumps convinced her to help him with the shelling. 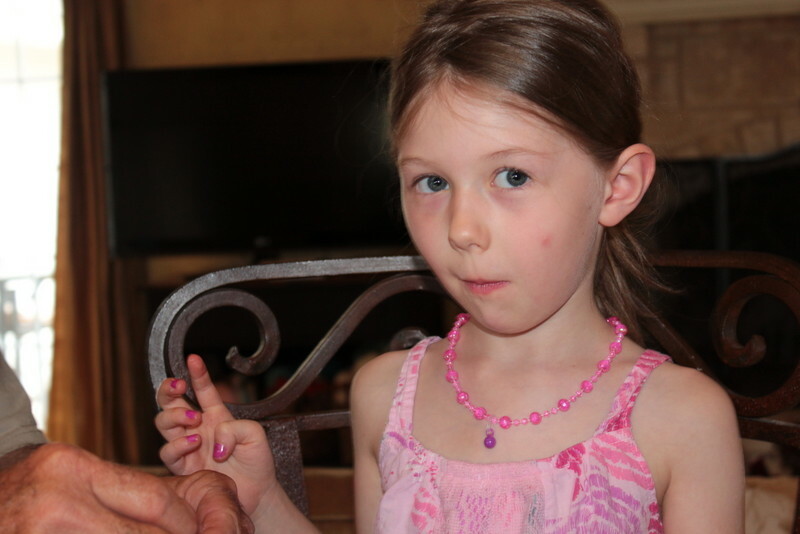 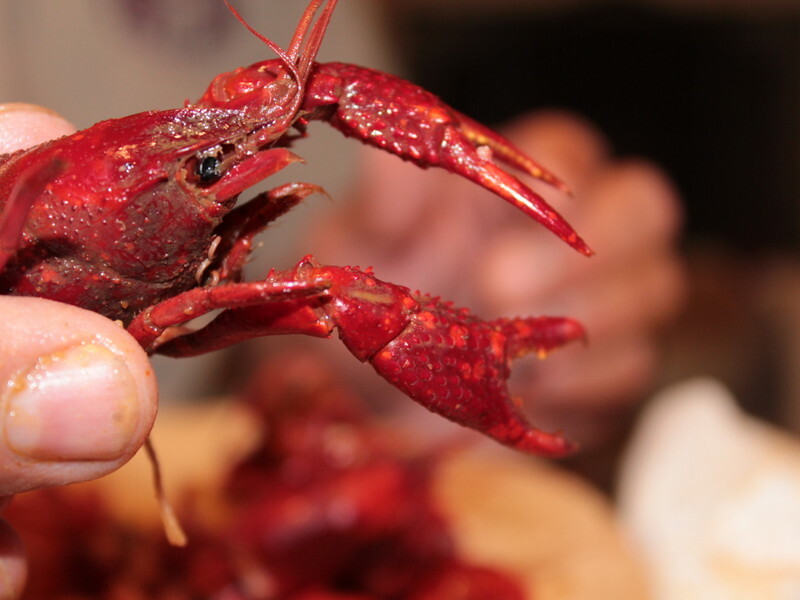 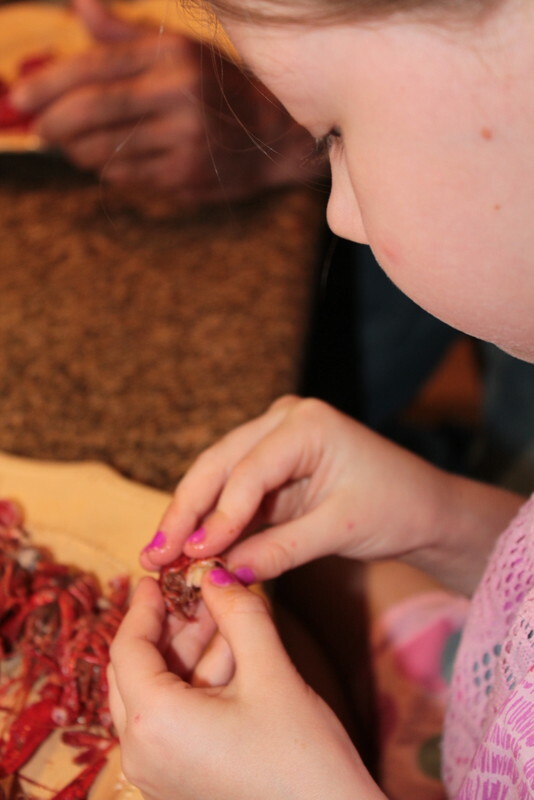 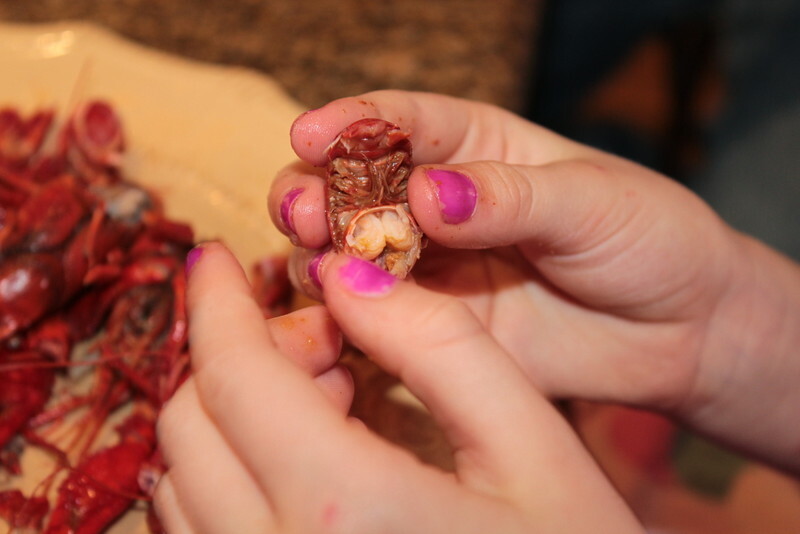 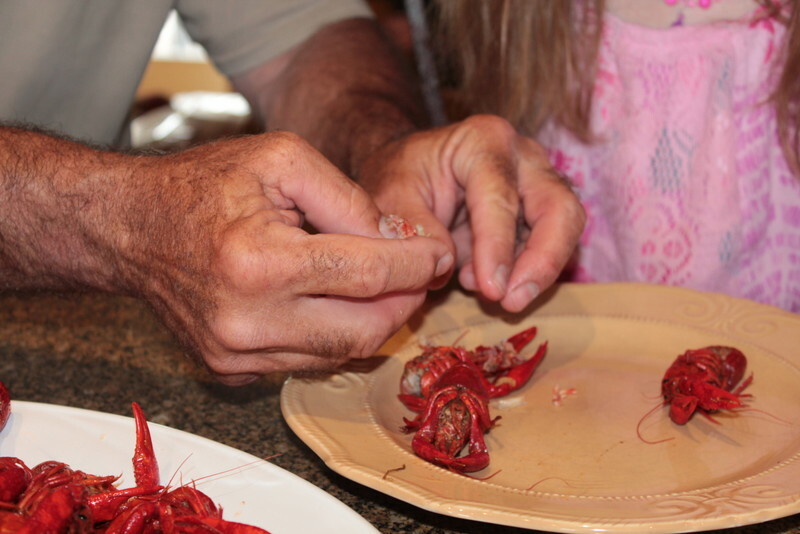 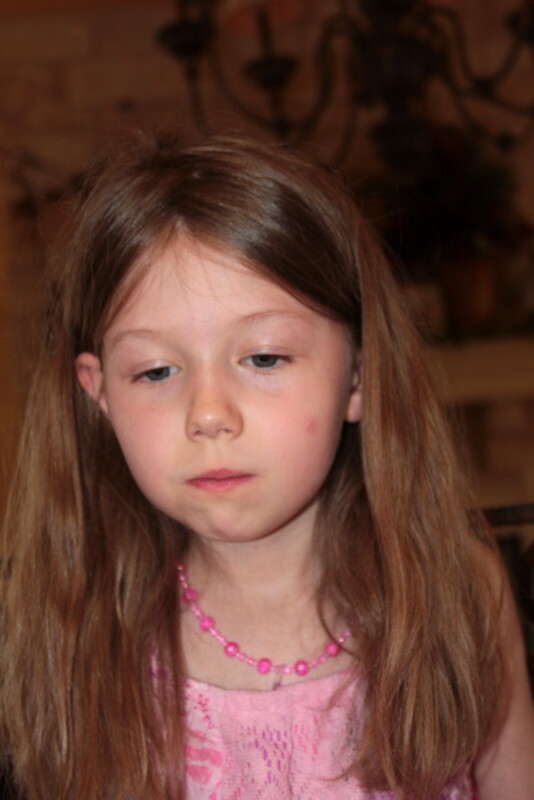 He guided her step by step as she shelled crawfish for the very first time. 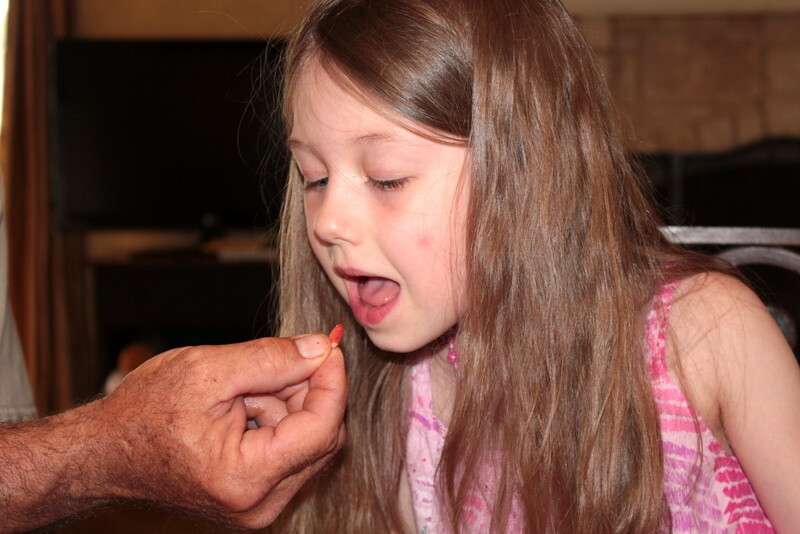 After much work, she was able to taste the fruit of her own labors, and ya know, I think that was the sweetest bite of all! 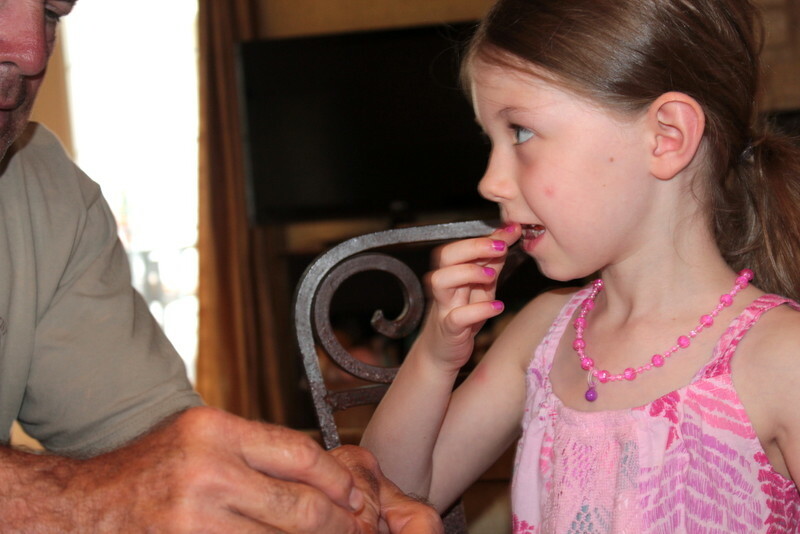 Gumps sacrificed all his labor for Aria. 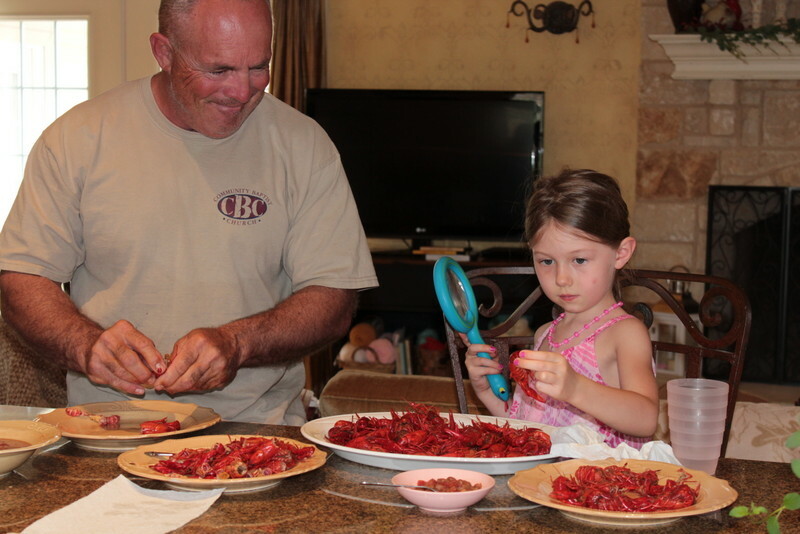 She gobbled up the crawfish in just a fraction of the time it took to shell them, but gumps got more delight and enjoyment out of watching her then he would have gotten if he had eaten them himself.